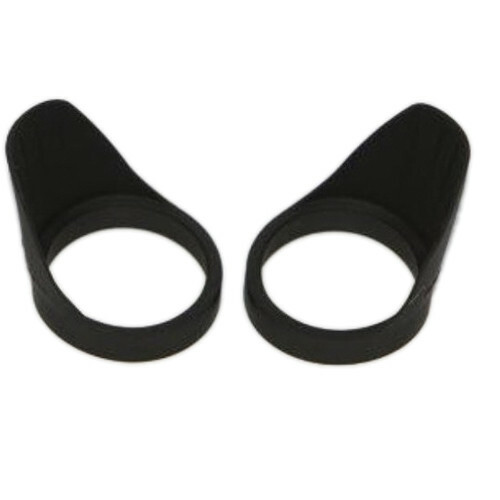 The EyeShields Standard Size Eyecups from Field Optics Research includes one pair of angled rubber eyecups that attach to eyepieces measuring 1.45 to 1.75 inches in diameter. The angled shape of these eyecups enhances the quality of the transmitted image by fitting against the side of the observer's face and blocking ambient light from creating glare on the ocular surface. The flexible rubber material provides a comfortable viewing experience for the observer as well as shielding their eyes from wind, snow, dust, and rain. Box Dimensions (LxWxH) 5.8 x 3.6 x 2.1"
Eyeshields Standard Size Eyecups (Pair) is rated 5.0 out of 5 by 1.